God gave you a unique set of gifts. Now, He’s giving you the opportunity to use them. is an educational ministry of Lancaster Bible College delivering low cost non-credit biblical enrichment. Earn your degree online or in class at an accelerated pace with our 6-week courses. Our graduates and faculty are making a real difference in the world for Christ. Through their experiences at LBC | Capital, they’ve been changed – and it shows in their careers and ministries today. 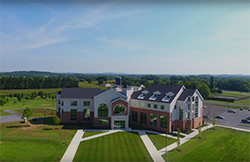 Whether it’s our students living on our Lancaster campus, studying halfway across the country, professors who are truly passionate about reforming the criminal justice system, or the influential pastor who’s working toward their doctoral degree in leadership, they’ll all say the same thing: their time at LBC made all the difference. Don’t believe us? We’ll let them tell you in their own words. For 20 years, Dr. Peter W. Teague and his wife, Paulette, have been the lead servants of LBC | Capital. On Tuesday, April 23, students, alumni, faculty, and staff are invited to come together to celebrate their faithful ministry. 10:00 AM | CHAPEL – an extended chapel from 10 AM-11:30 AM will honor biblical servant leadership as seen through the Teagues’ ministry. 11:30 AM | PICNIC LUNCH – Everyone is invited (please RSVP [insert link] so we can plan appropriately). You will have an opportunity to greet the Teagues at lunch. Questions? Please call the Alumni office at (717) 560-8206 or email alumni@lbc.edu. President Peter W. Teague cordially invites you to a Birthday Celebration on Wednesday, April 24, 2019 from 3:00-4:00 pm in the TLC 401. We hope you will join your fellow employees born in April for an enjoyable celebration with the President. Kindly reply before April 22. CONNECT Children's Ministry - CONNECT Children's Ministry is an opportunity for children’s ministry leaders to come together for professional growth and encouragement. Each month, we gather for fellowship, learning from speakers on relevant topics in children and family ministry leadership, networking with one another as well as sharing ideas and resources. LBC will be operating on the summer visit schedule starting May 14th through August. A tour of campus and admission consultation will be offered from 10am - 12pm and 1pm - 3pm on Mondays, Tuesdays, Wednesdays, and Fridays. The visit cordinator will communicate further details about your visit after the event request is submitted. Please enter the total number of people that will be attending in the "Quantity" field. Please bring a copy of your high school transcripts and SAT/ACT scores if possible. Experience Lancaster Bible College and Learn How You Can Finish Your Degree! Are you considering enrolling in our accelerated undergraduate degree programs? Then sign up for a campus visit! During your visit, you’ll be a part of a group tour of our beautiful campus, learn about financial aid options, chat with a current student in the accelerated program, speak to our admissions team and observe a class. There is no cost to attend, but we do ask that you register for this event. 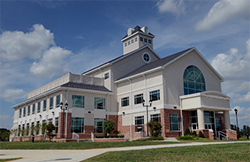 4-4:45 PM: Tour of campus (including our academic support center). 4:45-5:30 PM: Admissions and financial aid session. 5:30-5:45 PM: Meet and pray with staff. 5:45-6 PM: Meet with a student ambassador enrolled in an accelerated undergraduate degree program. Tour of campus (including our academic support center). Admissions and financial aid session. Meet and pray with staff. In order for our team to serve you best, please schedule your visit date with at least a week notice. Additional times can be arranged on a case-by-case basis. *Schedule can be adjusted to fit your availability. Let’s get started! Select a date to schedule your visit. for LBC’s athletic programs and scholarship program. Your graduation experience begins with the Alumni Induction & Awards Ceremony Luncheon. During the Luncheon, honors and awards will be conferred and you will be officially pinned as a member of the LBC | Capital Alumni Association. With our eyes on the future, we will conclude the event with a corporate family prayer.